You are here: Home / Articles / Has Cameron Carter-Vickers made desired Swans impact? Has Cameron Carter-Vickers made desired Swans impact? When Cameron Carter-Vickers arrived at Tottenham back in the summer of 2016, there were many high hopes and expectations immediately placed on his young shoulders. The American native was seen as one of the most promising and quickly rising defensive talents in world football and it was Spurs that managed to lure him to their ranks. However, the 20-year-old centre-back has been sent out on many loan spells away from the London club and his current stint sees him playing for Swansea in the tough and testing EFL Championship. The Swans were clearly gaining a huge talent when they secured the loan signing of Carter-Vickers this past summer, acquiring him in the hope that he would begin to realise his potential and develop into the strong defensive unit that Spurs see him as for the future. The highly-rated defender’s parent club Tottenham Hotspur are currently involved in a dramatic European group campaign and are regarded as huge outsiders in Betfair’s Champions League predictions to go all the way and lift the famous trophy next year. It’s unlikely Carter-Vickers will be returning to Wembley after his current loan spell finishes next summer to join up with the latest Champions League victors, with Spurs still in need of a big result against Barcelona to edge into the knockout stage this term. 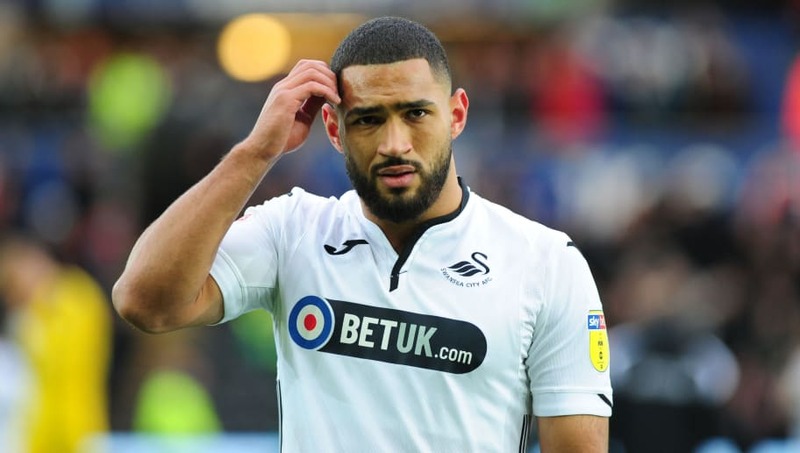 For the Swans, though, Carter-Vickers has endured an indifferent beginning to life at the Liberty Stadium, having only started 4 times and made 2 appearances from the bench during the club’s domestic league campaign in the second tier of English football. The highly rated centre-back holds plenty of experience, having become a full United States of America international player at a very young age. This is despite the defender being born in Southend-on-Sea in England in December 1997. Carter-Vickers evidently has plenty of potential but he will need more consistency if he is to achieve the heights that Spurs are hoping for him in the near future, while the Swans are expecting him to get there swiftly in order to help them in their Championship ventures this term. The young Spurs-owned prospect has only featured on five occasions in the division for Swansea so far this current campaign, while also having made three international outings for the US against Mexico, Peru and Italy. So are Swansea getting a good deal with their season-long loan spell for Cameron Carter-Vickers at the moment? Only time will tell how good he can become at the Liberty Stadium but, in such a challenging division, the Welsh outfit are in desperate need of big performances and consistency from their young starlet as soon as possible, especially given the lacklustre defensive displays over the last 10 days. Spurs boss Mauricio Pochettino may not be too happy with his lack of playing time granted so far on Welsh territory either, but his young defensive prospect must rise to the occasions and begin living up to his potential if he is to carve out a place at Swansea and a long-term future at Spur’s new White Hart Lane home.